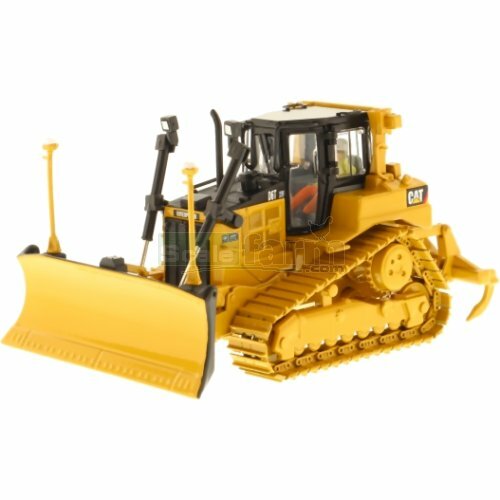 Detailed die cast metal model CAT D6T XW VPAT track type tractor with enclosed cab, detailed cab interior with operator figure, authentic CAT machine yellow paint and trade dress, blade raises, lowers and tilts, ripper raises and lowers. Authentic metal tracks. Supplied in a collectible, full-color-printed metal box, including machine photos and specifications.